What is the difference between 'Activate and update structure' and 'Activate and update All' ? 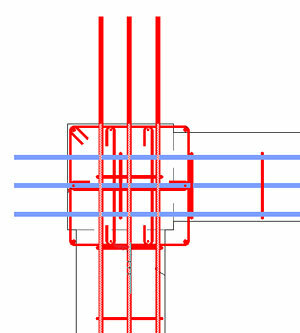 Working on a complex project usually implies many "last minute" modifications, which can occur after the user started working on certain reinforcement drawings. 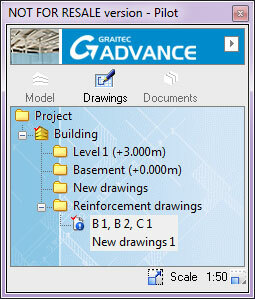 Advance Concrete provides the option through which all drawings, finalized or not (Cut sections, Elevation, Top/Bottom Views, Reinforcement drawings), can be updated based on the specific changes made to each of them. 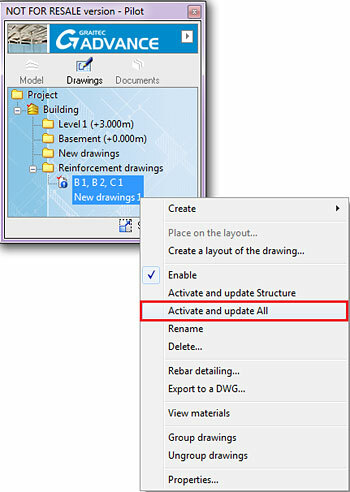 A drawing can be updated using two functions: "Activate and update Structure" and "Activate and update All". 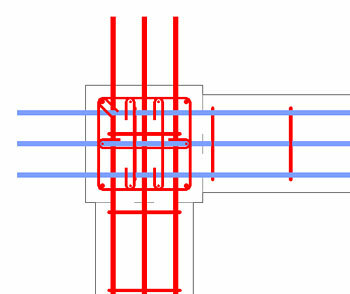 The first option is used when the "Model" elements were modified (e.g., when the user changed the sectional dimensions for some structural elements). The "Activate and update Structure" option has no effect on the reinforcement style (if the user used a reinforcement style on a column and also changed its sectional dimensions, "Activate and update Structure" has no effect on the reinforcement dimension). The column in the above section has a square section (C40). For this example its section is changed to C30. 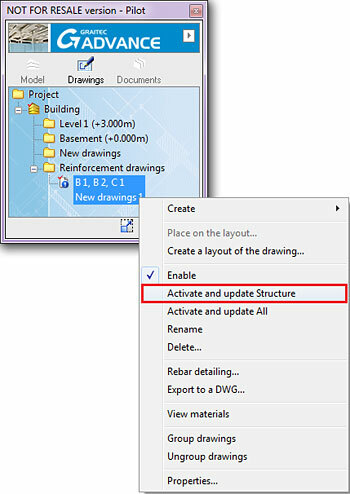 Whether this change is made in the "Model" or "Drawings" workspace the reinforcement drawing requires an update. If the reinforcement drawing is updated using the "Activate and update Structure" function, Advance Concrete modifies only the structural element, the reinforcement style is not adapted to the new formwork dimensions. 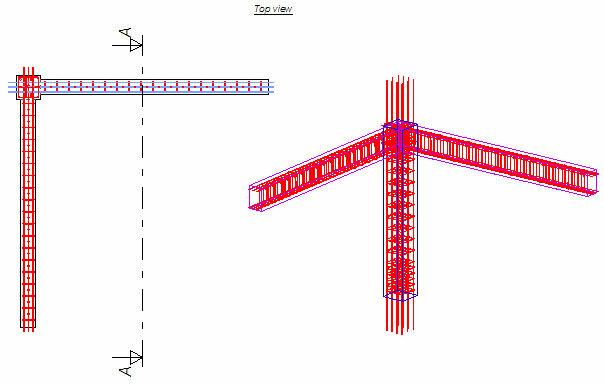 If the reinforcement drawing is updated using "Activate and update All" the reinforcement solution is adapted to the new formwork dimensions. 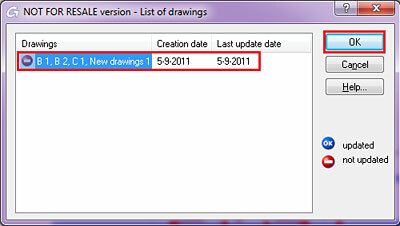 The "Activate and update All" function can also be accessed using the "Publish" ribbon on the "AC: Drawings" menu.